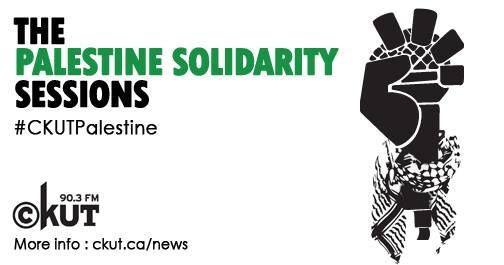 Montrealers took to the streets again yesterday on Wednesday August 13th despite heavy rain to continue showing their support for Palestinian rights. 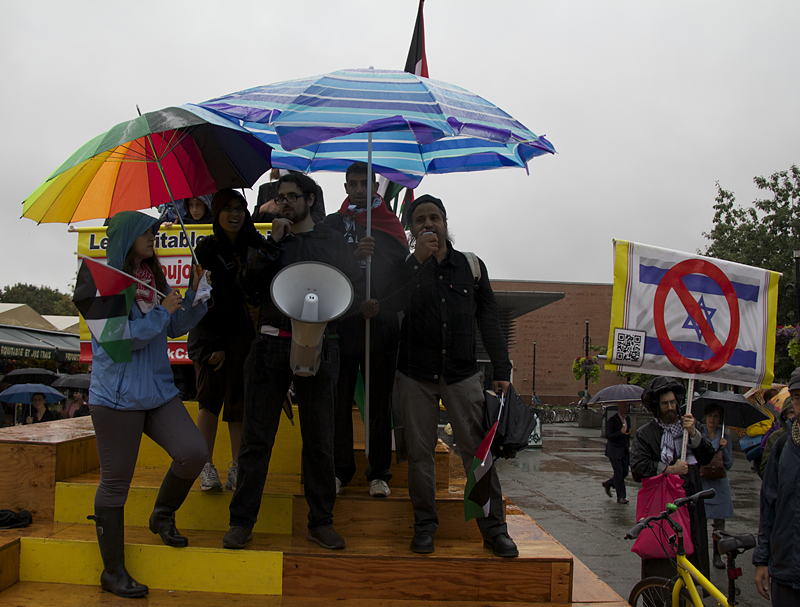 Colourful umbrellas dotted the crowd of protesters who marched down St-Denis street calling on people to join the boycotts, divestment, and sanctions (BDS) campaign against Israeli Apartheid. 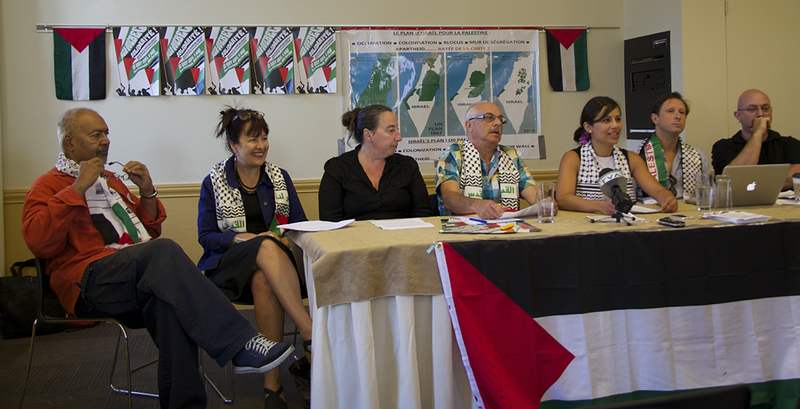 Up to ten thousand people marched through the Montreal downtown on Sunday August 10th to show their solidarity with Palestinians and to demand an end to the Canadian government’s complicity with Israeli policies of occupation and apartheid. Today’s protest marks the largest of over ten Palestinian solidarity demonstrations that have taken place in Montreal since Israel began its offensive against Gaza on July 8th.